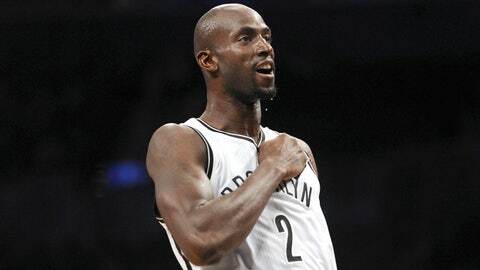 If you’ve ever watched Kevin Garnett play hoops you know he often has a very intense look on his face. He’s a pretty feisty dude. We saw the softer side of KG on Tuesday, however, as he posed with some local kids at the team’s annual holiday event. Here’s a video of the team picking out gifts with some of the kids.